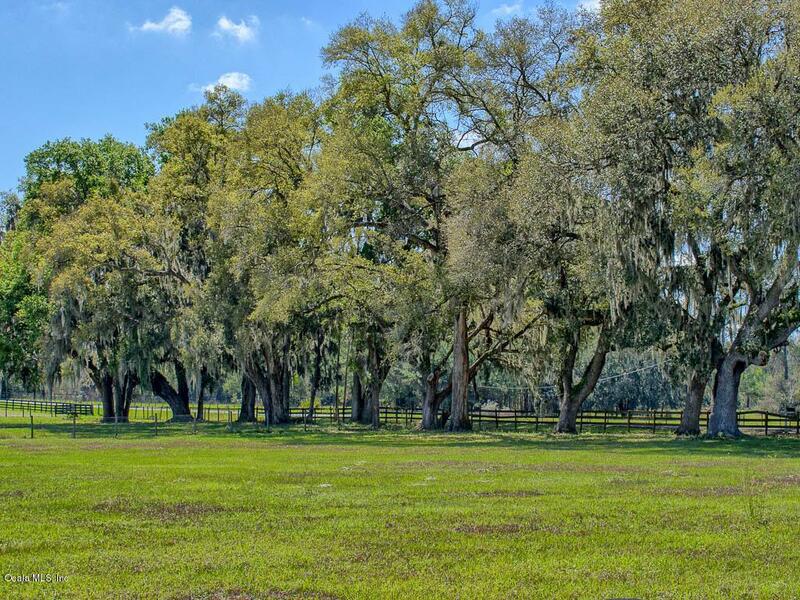 RIDE, BIKE or HIKE to the Greenway and minutes to the Florida Horse Park. 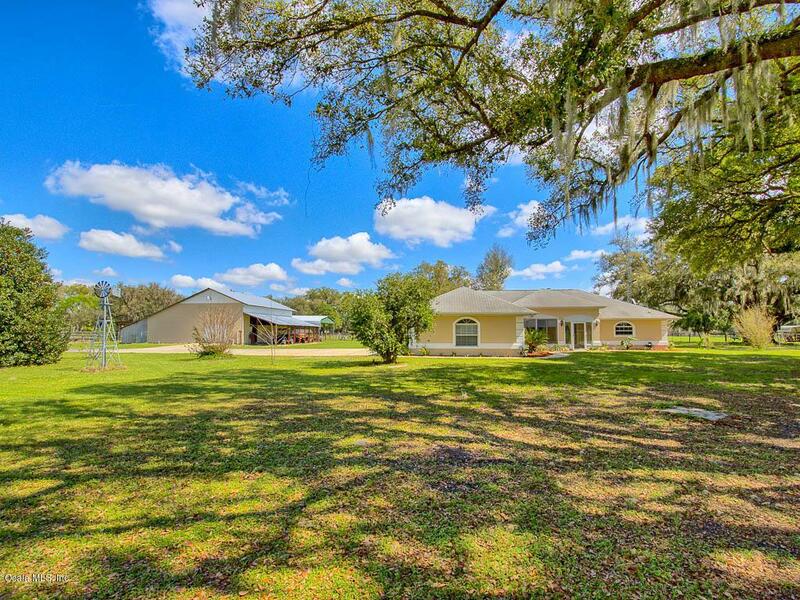 27.5 acres of life on the farm in sunny central Florida... horses, cows, chickens, fruit trees and raised garden beds! 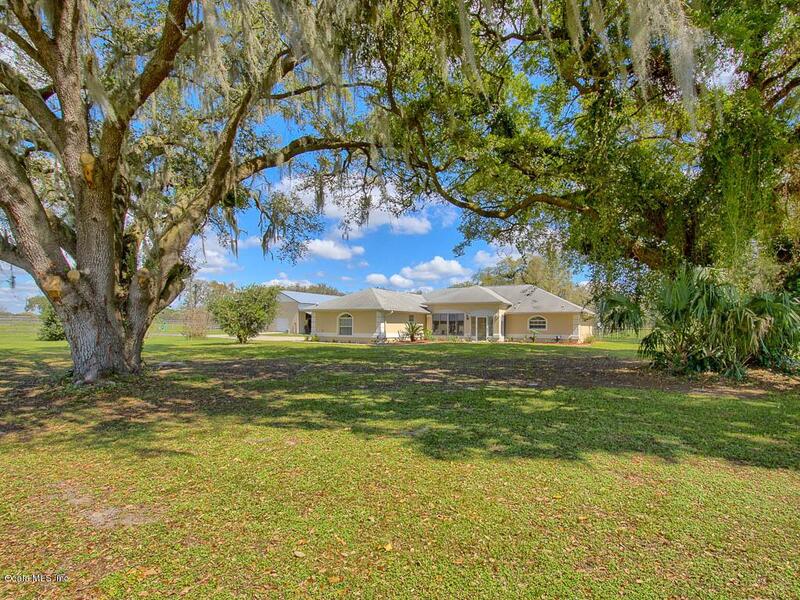 The property is graced with huge granddaddy oaks, a metal barn with portable stalls, multiple run-in sheds for the farm animals and a freshly painted exterior home that sits well back off the road for ultimate privacy. Enjoy the morning sunrise from the enclosed back porch or from under the pergola covered deck extending across the rear of the home, end your day in the enclosed front porch while watching the sun set or cozy up to the wood burning stove on chilly evenings. 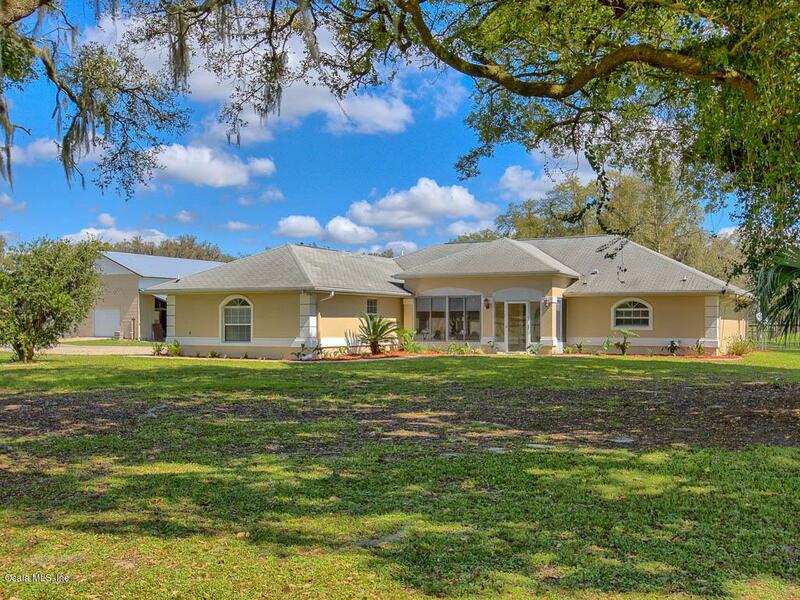 The 3/3 open concept floor plan offers volume ceilings in the living, dining and lovely updated kitchen which includesgranite counter-tops, gas range, SS appliances and a huge pantry. Also a spacious game room or additional living area, beautiful LVP and tile floors throughout and his and her vanities and walk-in closets in the master suite. Gorgeous views can be seen out every window as the natural light flows in allowing you to truly appreciate the country lifestyle this farm has to offer.